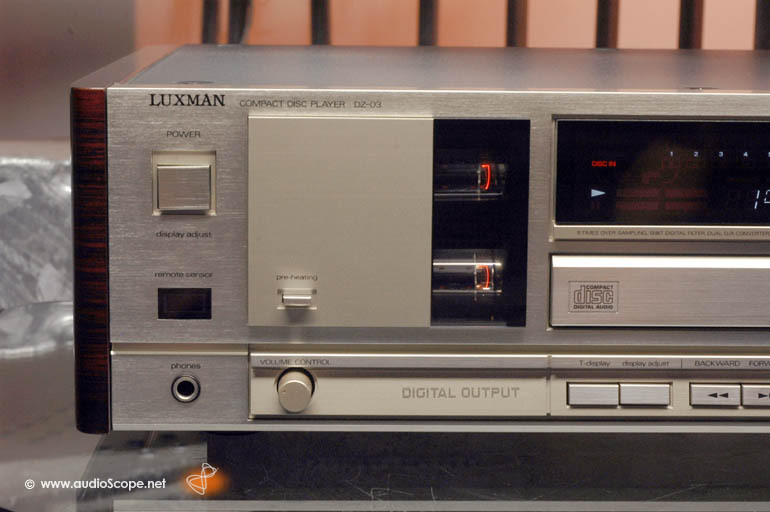 Luxman Tube CD-Player DZ-03 for sale. 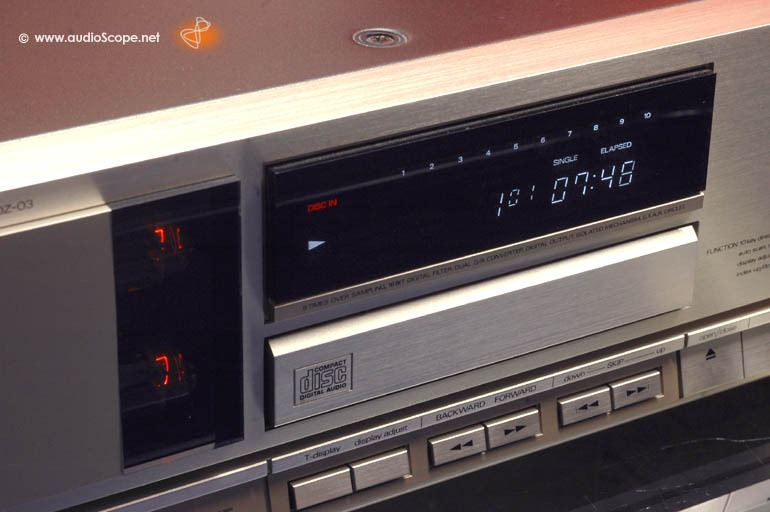 This CD-Player has a tube output stage. 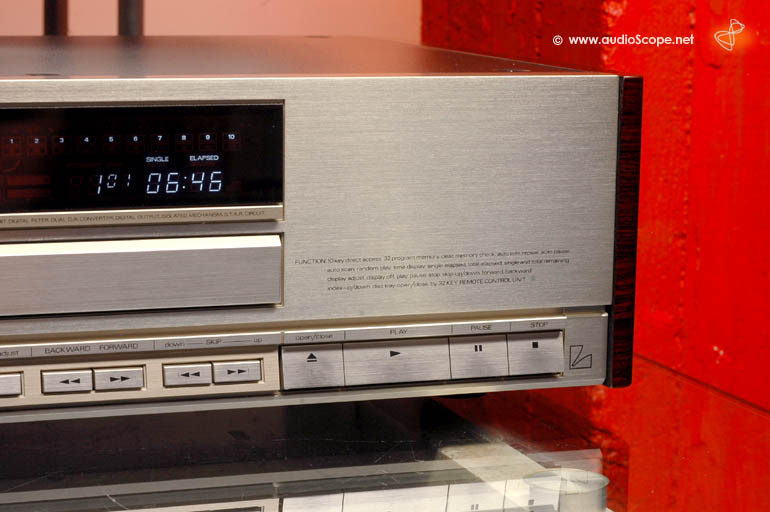 It could be the perfect matching CD-Player for your tube stereo amplifier. 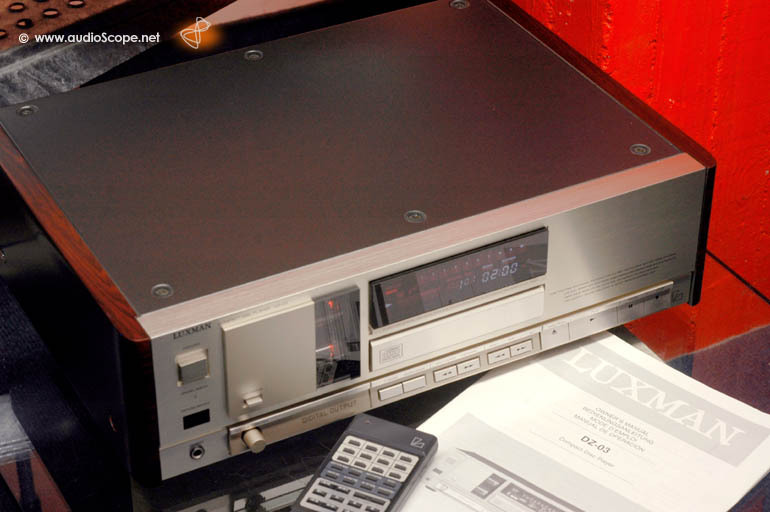 It comes with remote and has a digital output. 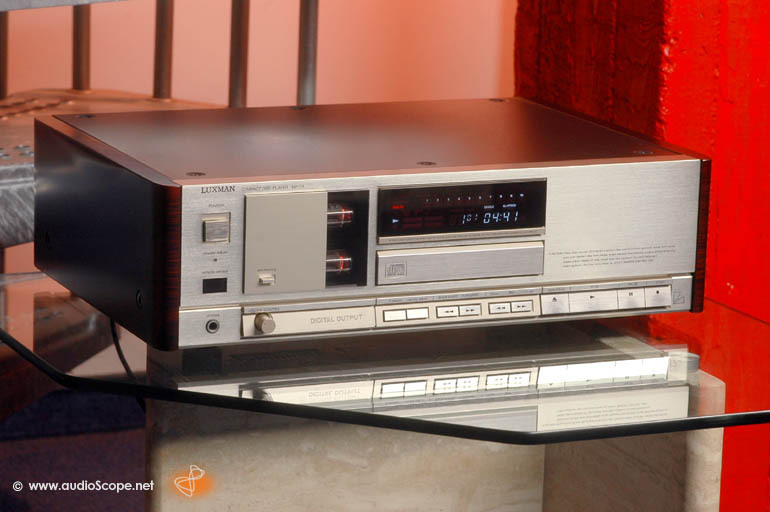 Condition: Perfect, no scratches nicks or dents. 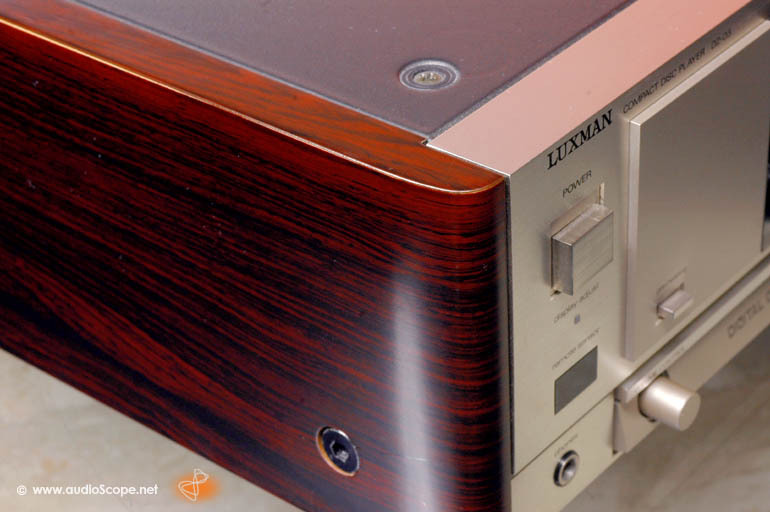 Very rare in champagne, with original Luxman wood panels, original remote and original users manual.